Sarah Nader - snader@shawmedia.com Graduate Jason Arendt (center) throws his cap in the air during the 2013 Crystal Lake Central High School commencement on Saturday, May 25, 2013. 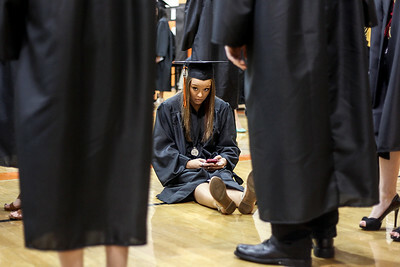 Sarah Nader - snader@shawmedia.com Graduate Tawney Dobosz waits in the hall with her classmates during the 2013 Crystal Lake Central High School commencement on Saturday, May 25, 2013. Sarah Nader - snader@shawmedia.com Graduates Melissa Benton (left) and Jocelyn Guzman talk before the 2013 Crystal Lake Central High School commencement on Saturday, May 25, 2013. 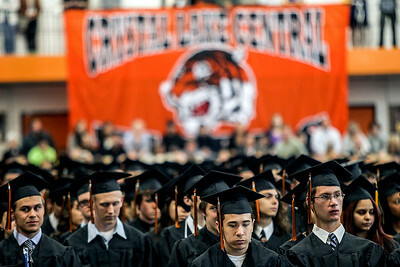 Sarah Nader - snader@shawmedia.com Graduates listen to speeches during the 2013 Crystal Lake Central High School commencement on Saturday, May 25, 2013. Sarah Nader - snader@shawmedia.com Graduate April Guzy (left) waits in line with her classmates before the 2013 Crystal Lake Central High School commencement on Saturday, May 25, 2013. Guzy plans to study forensic chemistry at Western this fall. 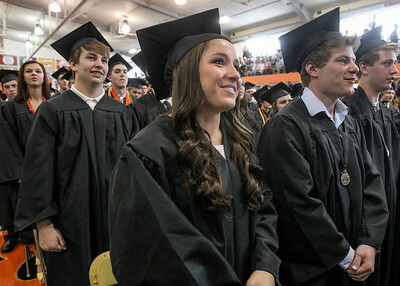 Sarah Nader - snader@shawmedia.com Graduate Bianca Bialk sings the school song with her classmates during the 2013 Crystal Lake Central High School commencement on Saturday, May 25, 2013. 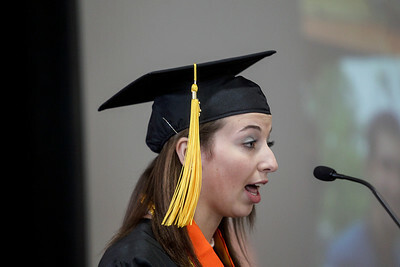 Sarah Nader - snader@shawmedia.com Valedictorian Ann Bandolik gives her speech during the 2013 Crystal Lake Central High School commencement on Saturday, May 25, 2013. 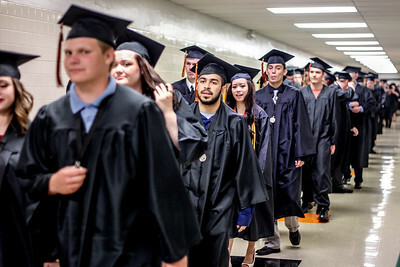 Sarah Nader - snader@shawmedia.com Graduates walk in the gym during the 2013 Crystal Lake Central High School commencement on Saturday, May 25, 2013. 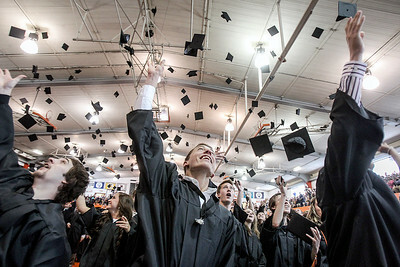 Graduate Jason Arendt (center) throws his cap in the air during the 2013 Crystal Lake Central High School commencement on Saturday, May 25, 2013.